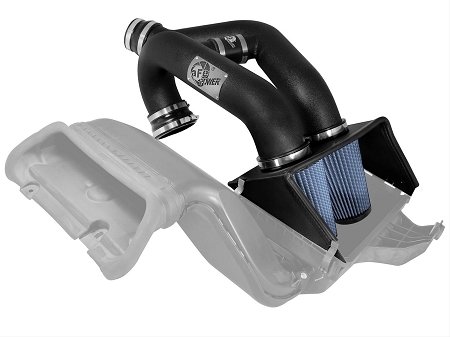 This intake utilizes Dual 360-degree, huge 7" round conical Pro 5R performance air filters providing 67% greater airflow over Stock intake system. 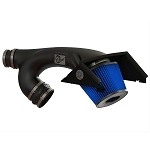 This washable/reusable 5-layer progressively finer mesh cotton gauze oiled media air filter provides maximum airflow for increased horsepower and torque. aFe developed a top mounted heat shield to snap onto the top of the lower half of the factory air box to provide a hassle-free installation utilizing factory mounting locations. 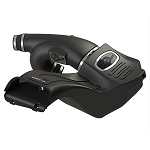 It's dual Mandrel-bent Wrinkle-black Powder-coated aluminum equal length intake tubes are designed with an H-pipe to balance intake tube pressure and maximizes airflow and velocity. 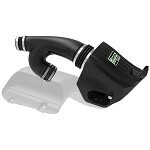 Stage 2 cold air intakes are designed to replace the factory intake track for maximum performance and throttle response. 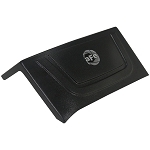 The Pro 5R performance air filter has 98% range of protection.. 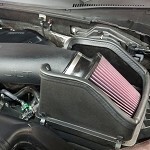 The Pro 5R air filter is the highest flowing air filter on the market. 5-layer progressively finer mesh cotton gauze, oiled media air filter provides maximum airflow for increased horsepower and torque. 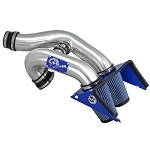 Includes a pair of 7" Pre-oiled, washable/reusable Pro 5R air filters for maximum performance. 3-1/2" mandrel-bent, Wrinkle-black Powder-coated aluminum equal length design intake tubes for balance intake tube pressures and maximize airflow and velocity. No cutting, drilling, fabrication or welding needed with its no-trouble installation. 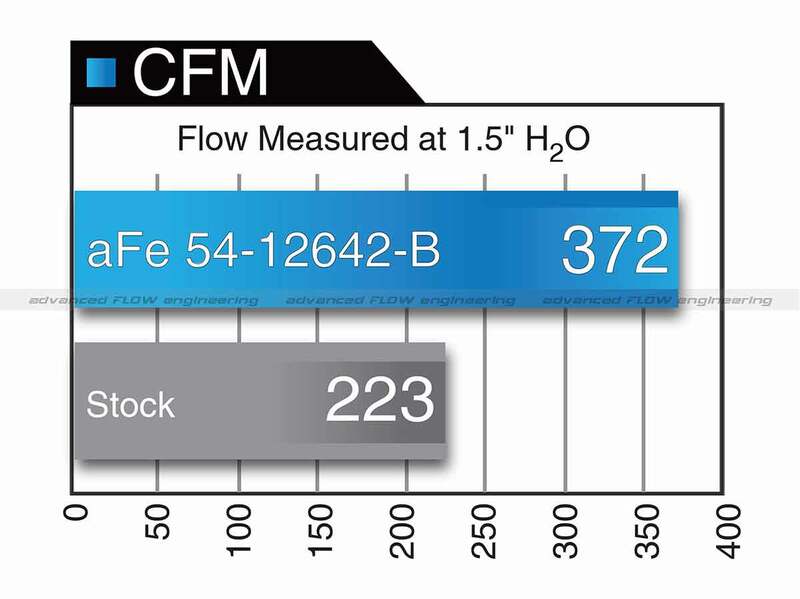 Outflows factory intake by 67%. 30% deeper than comparable aftermarket air filters for longer service intervals and greater dust holding capacity.